I am a co-founder of the EdTech Mentorship Network (ETMN), which is designed to target the professional development of educators in the province of British Columbia, in conjunction with the Community of Expertise in Educational Technology (CEET) and the British Columbia Ministry of Education. 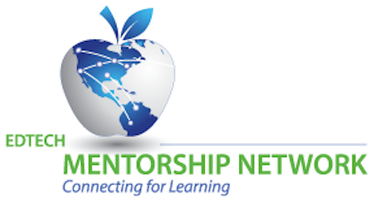 The purpose of this network is to create a landing space for sharing between district edtech mentors in an attempt to decrease the amount of resource re-creation that occurs and to progressively catalyze change through sharing and adjusting resources to fit in with each district’s needs. The Network is designed to put British Columbian school districts on the “same page” in promoting best practices with educational technology. ETMN began as a simple set of podcasted webinars that was based out of our Google+ community. I volunteered to manage the podcast and the community and to use social media to promote its existence. The Google+ community originated as a way for participants to ask questions or explore a technology tool, and for mentors or other participants to aid in that professional learning. The podcast and the #ETMN Twitter hashtag aided greatly in garnering attention for our network startup, sending us to over 100 members in the first month of its inception. Later, through our collaboration with CEET, we were able to connect with educational technology contacts from several districts around the province to get on board with our initiatives. It was important to have at least one Lead Mentor from each district to be representative of the educators that would steer the direction of educational technology within the province. The founding members held a meeting in December of 2013 at the Ministry of Education in Victoria, BC to form the ETMN Steering Committee and to discuss and draft the ETMN Charter which would outline the purpose and guiding principles of the network. We have recently released a draft version of our official website, etmn.org, which will now act as our official space from which the Google+ community, the podcast, and the shared resources will be shared and linked. The Lead Mentors and ETMN Steering Committee continue to hold quarterly meetings to discuss future directions, initiatives, and ideas for levelling the playing field for edtech professional development access, particularly as we attempt to reach remote districts within the province.